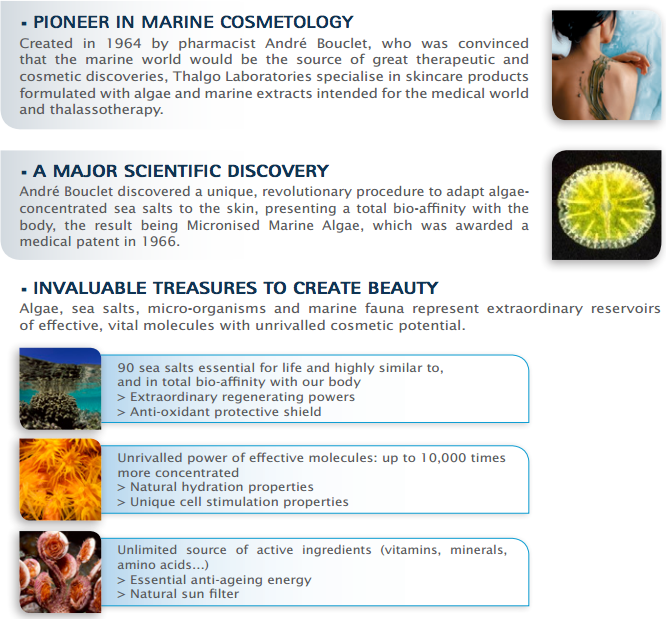 Created in 1964 by pharmacist André Bouclet, who was convinced that the marine world would be the source of great therapeutic and cosmetic discoveries, Thalgo Laboratories specialise in skincare products formulated with algae and marine extracts intended for the medical world and thalassotherapy. 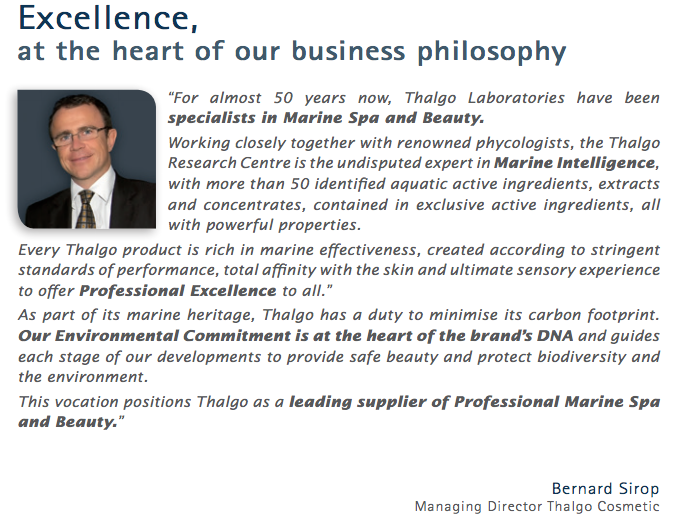 – Thalgo has developed an original training programme, covering all areas of expertise and skills essential for practising this art. – Our aim is to guarantee visible, lasting results from the very first treatment, as well as safety of use for all our products.